With its 6-inch Full-HD display the Xperia X/XA Ultra is a larger version of the standard Xperia XA mid-range device but also comes with a changed camera specification. The front camera comes with a 16MP Exmor R sensor, optical image stabilization and a front flash (!). Xperia XA Ultra features a 6.0-inch display with full HD resolution. It is powered by Helio P10 chipset and Mali-T860 GPU. It runs on Android Marshmallow and has 3GB of RAM accompanied with 16GB of internal storage. It’s a gigantic 6-incher, encased within a metal frame, with a pronounced, high-resolution selfie camera with flash, and featuring some pretty decent hardware underneath. And now you can download the Sony Xperia X and Xperia XA Ultra stock wallpapers in full HD quality. Both the devices come with the same set of wallpapers. While the Xperia A has 8 wallpapers, the X Ultra has only 4 (the ones previewed in the second row). As you can see in the preview, all of them are awesome and colorful to suit users’ mood. 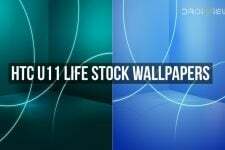 The resolution of Xperia X/X Ultra’s stock wallpapers is the same, i.e. 2160 x 1920 pixels. The size of the provided zip file below is 20.03 MB. 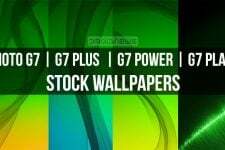 Just download the zip, extract it and copy the wallpapers to your device and enjoy. 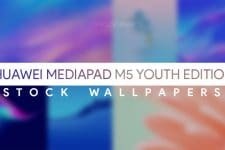 Once again, to download more wallpapers, don’t forget to browse our wallpaper section.